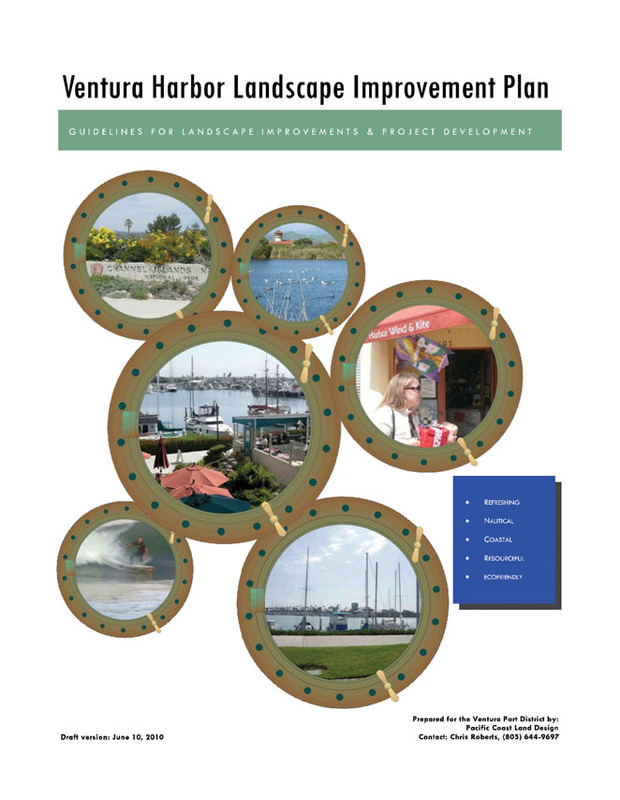 VENTURA HARBOR IMPROVEMENTS PLAN — Pacific Coast Land Design, Inc.
Ventura Harbor is the home of Channel Islands National Park headquarters, a commercial fishing fleet and entertainment and recreation resources intents to update and upscale. 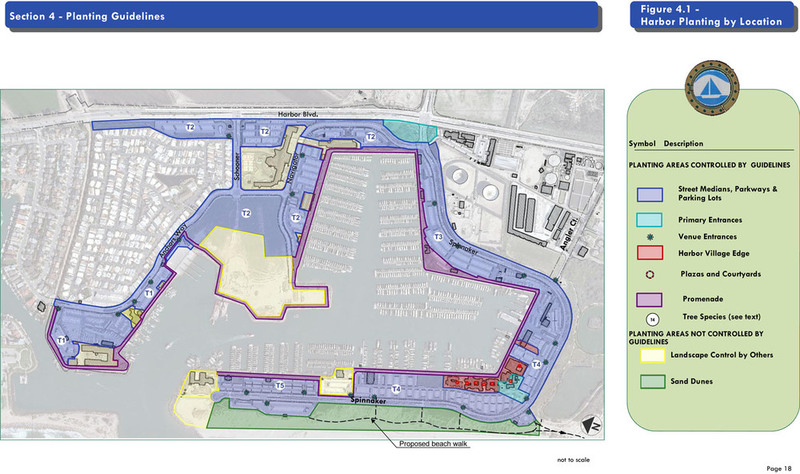 Harbor architecture and site facilities are dated and somewhat inconsistent. There are several nearby recreational and environmental resources that could be harbor attractions. 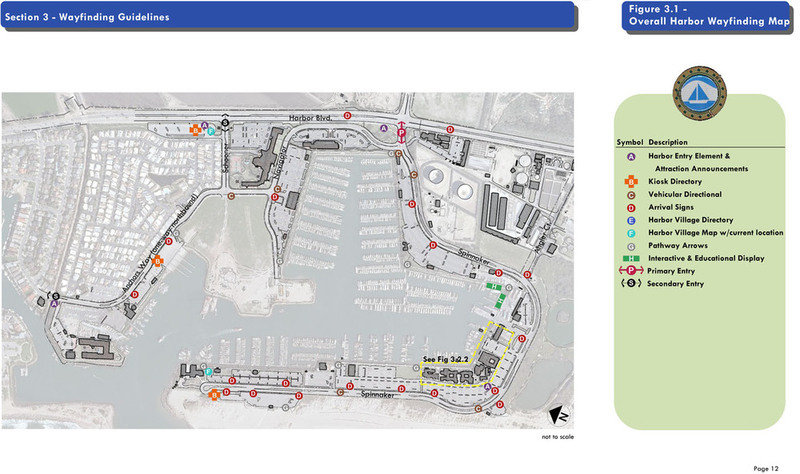 The Harbor Improvements Plan identifies materials, plants, and design themes to strengthen the harbor’s seaside image and its function as a working harbor and recreation attraction. 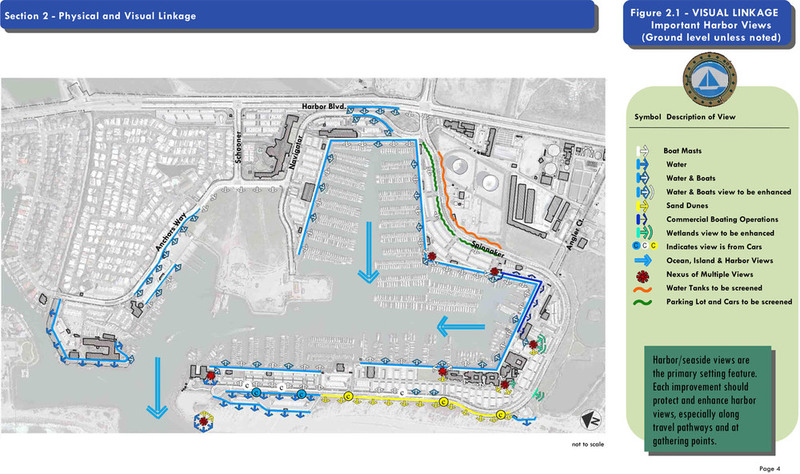 The plan also suggests ways to take advantage of the recreation and environmental resources surrounding the harbor by suggesting travel connectivity, wayfinding, and facility improvements. The portal images on this page illustrate the Channel Island National Parks building, beach surfing, a bird sanctuary, recreational boating and shopping. All facilities are within 1/4 mile of the Harbor nexus.